This is the first time a chase figure will be available for GPK Funko figures. The Adam Bomb chase figure will fall 1:6, or one per case of Adam Bombs ordered. Retailers are able to order each individual figure, 6 per case. 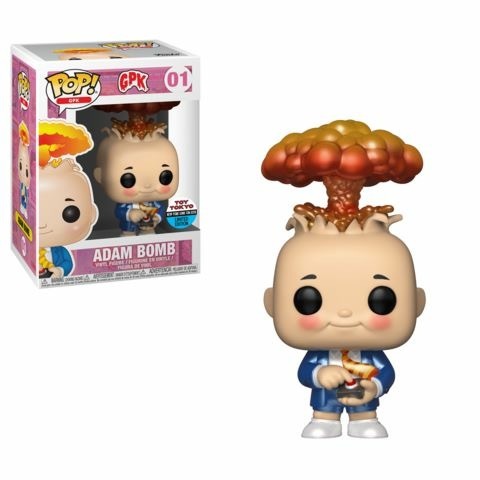 Each Adam Bomb case will have 5 regular figures and 1 chase variant. While the type of variant Adam Bomb isn’t known yet, it should be more highly sought after than the regular version. It appears suggested retail pricing for each figure is $11.99. All figures are set to release in April of this year. Thank to GPK collector Bob Sam Syldel for being the first to spot these in the wild. 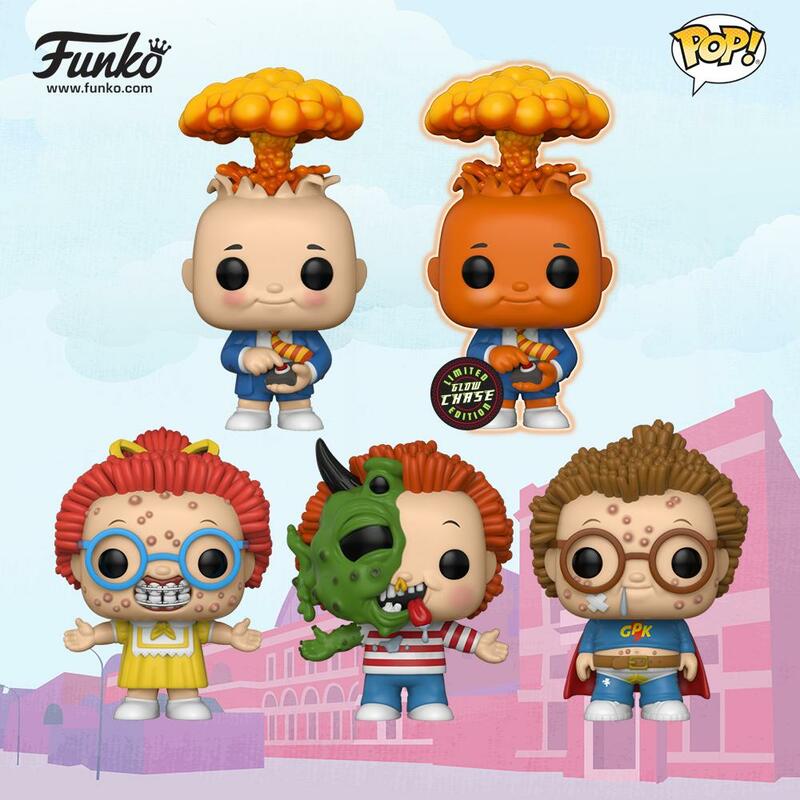 It appears that today the Funko Garbage Pail Kids Series 2 Big Mystery Minis began showing up in stores. With a nice touch, Funko is using blue as the packaging to match the OS series 2 pack color. The set consists of 12 figures, the same figures that were mentioned in the order sent to distributors a couple of months back. Just like with the first series of Funko figures, there doesn’t appear to be any chase or special figures. This release comes with zero marketing so far from Funko. No mention of the set has been made on their website or on social media accounts. Its an odd course of action considering Funko markets most of their releases agressivily. 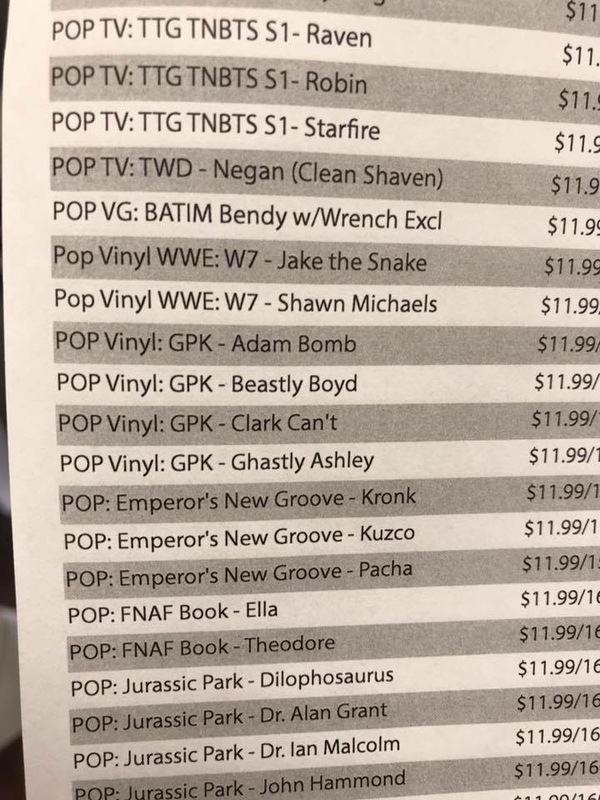 You should be able to find these where Funkos are sold very soon, if not today. Here is the checklist along with pictures of the figures. 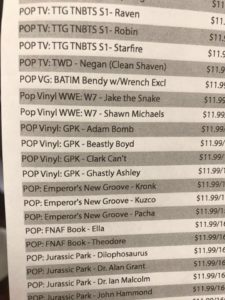 It looks like the Funko/Topps license deal will continue. 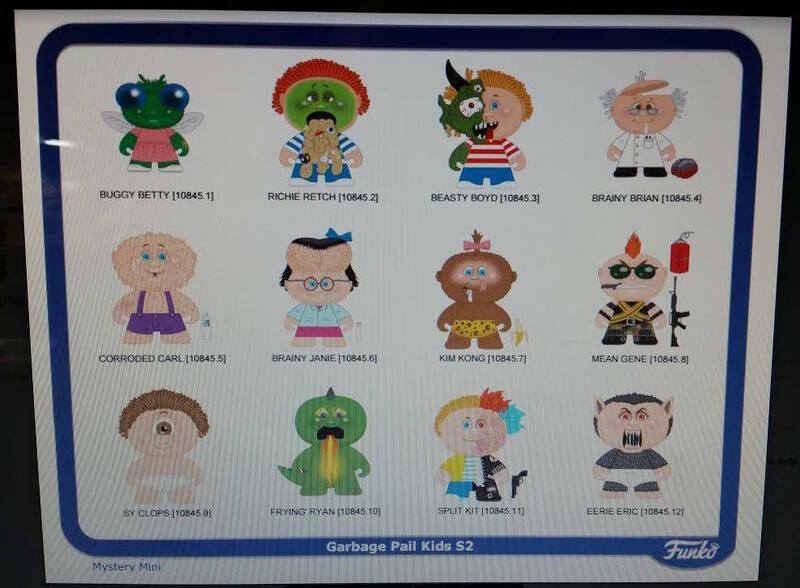 After launching Mystery Minis GPK Series 1 last July, it looks like pre-orders have started for distributors for Funko Mystery Minis Garbage Pail Kids Series 2. Thanks to GPK artist Chad Scheres for the heads up on this one. Set to release in Mid-November, there will once again be 12 figures to a box. No mention of any chase figures, similar to the Series 1 release. 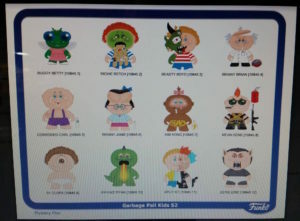 While Funko hasn’t released images of the toys yet the picture below shows mock-ups of the 12 figures available in Series 2. Just when we thought the Topps license that Funko acquired last year was only related to the 30th anniversary, Funko surprised today with the announcement of two new Vinyl GPK figures. 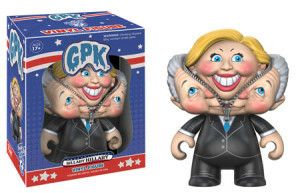 Funko has joined Topps on the political bandwagon this year, and announced they will make figures of both Donald Trump and Hillary Clinton. 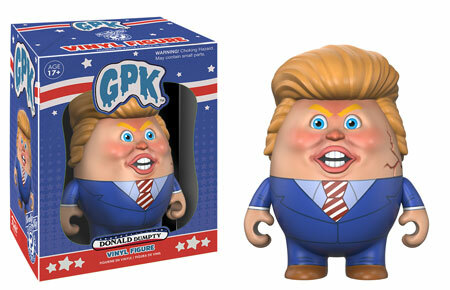 The Trump figure, Donald Dumpty, is based off a painting done by Joe Simko for the New Hampshire online set. The Clinton figure, Billary Hillary, is based off a painting done by Brent Engstrom also for the New Hampshire online set. Funko says both will come in a see through box for display purposes. No confirmation on the size yet of the figures. Funko plans to have these on store shelves by June of this year. 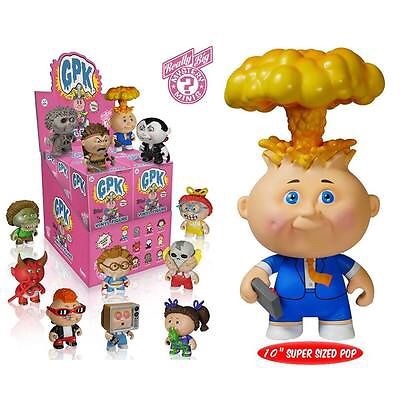 Funko Garbage Pail Kids figures have been spotted both in Hot Tropic stores and online. These long awaited figures come in two different styles. The Mystery Minis come 1 to a box, and 12 in an inner case. There are no mention of rare parallels so a case of 12 should net you a set. Funko is also releasing a giant size Adam Bomb figure. The figures measures 10″. Pre-orders from various companies should be shipping next week. Keep your eyes out in stores for these new figures.